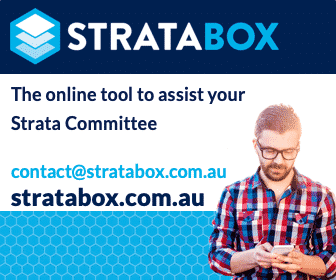 You are here: Home / Strata Reports / Strata Reports NSW / NSW: Q&A Should a Free Strata Report be available at inspection? A lot owner from NSW is wondering whether access to a free strata report should be made available when carrying out an inspection of a strata apartment for sale. Leanne Habib, Premium Strata provides the following response. Question: When inspecting a strata unit, should a free strata report be available for prospective purchasers? What documentation should the agent have available? When inspecting a strata unit, what documentation should the agent have available for prospective purchasers in relation to the strata body corporate’s administrative and sinking funds? Should a free strata report be on hand? We’ve inspected a couple of small apartments recently where the building clearly needed some remedial/repair work but the agents offered nil information about the sinking fund and instead suggested we purchase a strata report for $290. I understand the purposes and necessity of a strata report if one is intending to purchase the property but this seems an unreasonable expense at an initial inspection. Shouldn’t such basic information be made available at the time of inspection? While it may seem like an unnecessary expense, we would always recommend a strata report – not only for the financials but for matters such as whether or not the scheme is harmonious and whether or not it is professionally managed etc. There is no conveyancing law which requires the inclusion of the Owners Corporation’s financials as part of the Contract for Sale, so the onus is on you to obtain this information. If you are prepared to risk it, the Section 184 certificate by owners corporation as to financial and other matters relating to lot (now called a strata information certificate) is obtained by you during the course of the conveyance, but it would likely be too late for you to withdraw from the sale irrespective of its contents – only occasionally is such a certificate produced as part of the Contract for Sale. The agent has no duty to provide a free strata report or any information other than the Contract prepared by the Vendor’s solicitors/conveyancers. The concept of “caveat emptor” applies ie buyer beware. You must undertake and rely on your own enquires. Looking for a Strata Inspector in your area? Search within our Strata Services Directory in the category NSW Strata Reports for the best list of contacts available. Visit our Renting / Selling / Buying Strata Property OR NSW Strata Legislation. I agree Diane. The strata report should ALWAYS be available free of charge to potential buyers. Being the biggest purchase the average person makes in their lifetime (by a significant margin), it is astounding that free & full disclosure of a strata property isn’t mandatory in NSW. I am amazed that a full strata report is not supplied in NSW. Here in SA, we receive, free of charge, financials and minutes from the last 2 or 3 years, so there is full disclosure of all future and past repairs. I was even provided with the age of my water heater. I would not feel confident buying a strata unit without all this information and feel it should be free or for a minimum fee .